HARLEY Design SHEFFIELD Stainless Steel Cutlery Pet Food Fork 7⅛"
Dishwasher safe and made of stainless steel material. Makes the very best feeding dish. 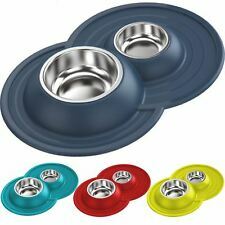 They are bacteria resistant and incredibly durable these rugged bowls don't absorb food odors. Easy to keep clean. This fountain filter uses a 3 layer filtration system and contains high quality charcoal. 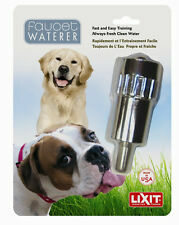 This product works in the ceramic and stainless steel drinking fountains. Captures debris and extends the life of the fountain. Fountain circulates the water which will encourage your cat to drink more. Clear drinking fountain. replace this text with your service information. The benefits of this can ensure proper kidney function and reduce the risk or any urinary diseases. 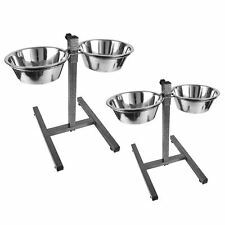 PLASTIC DOG BOWL Cat Puppy Pet Food Water DOUBLE FEEDING DISH. 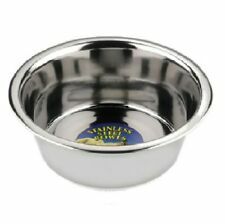 Quality Dog Bowl - Double Feeding Dish. This set of PLASTIC pet bowls are perfect for feeding your pet with both food and water. assorted print design. Stainless Steel Drinking Fountain with Continuously Filtered Water. Circulating drinking water is naturally appealing to your pet. 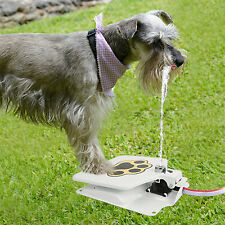 There has never been a pet fountain that looks or works as well as the this one does.